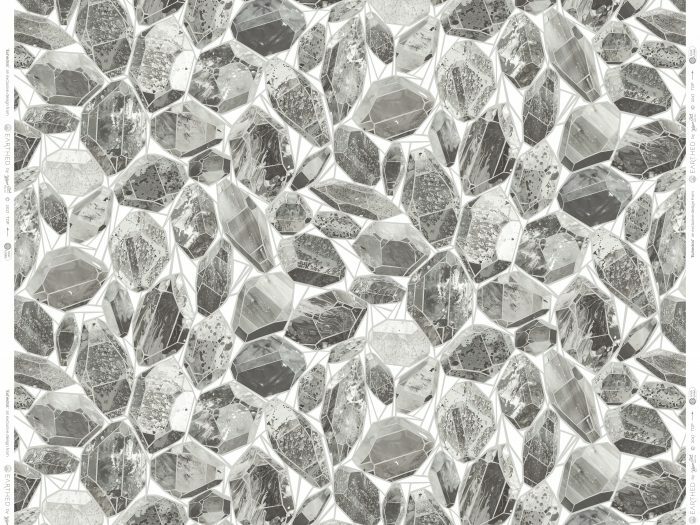 Euhedral crystals are those that are well formed with sharp, easily recognisable faces. 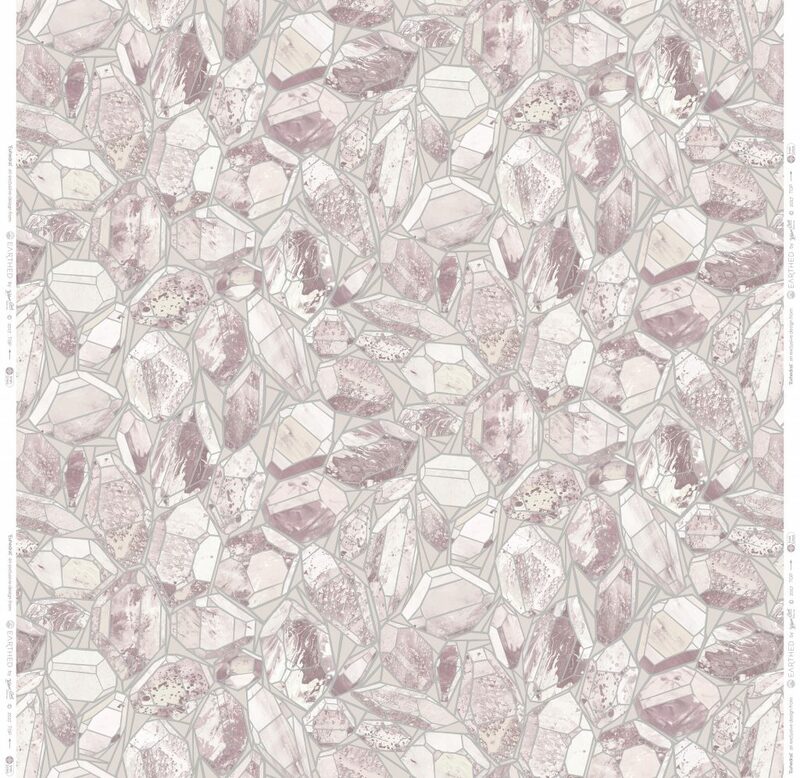 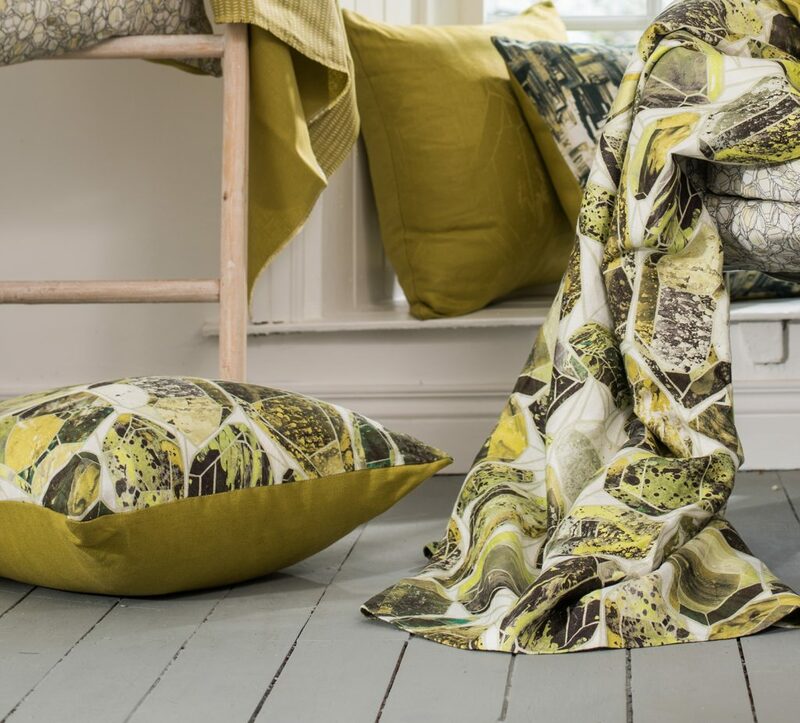 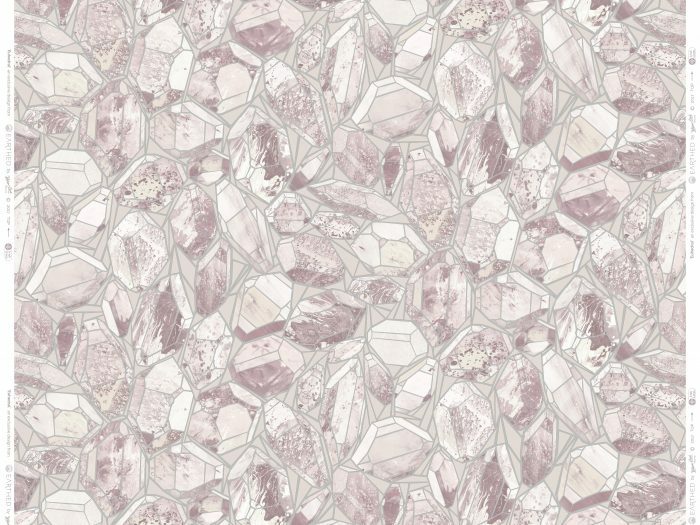 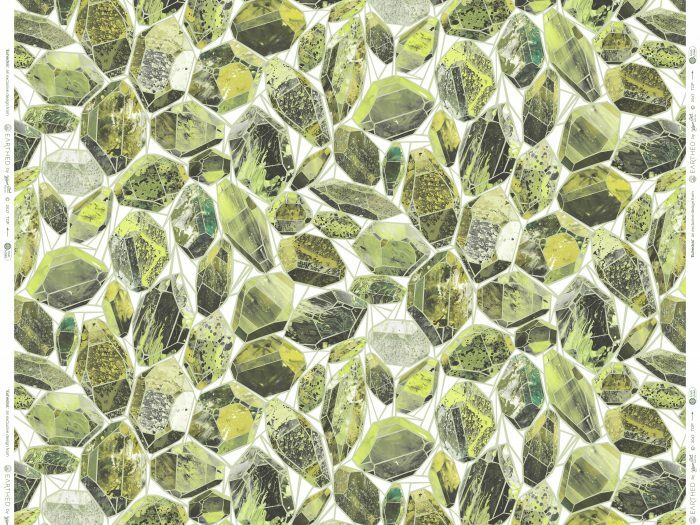 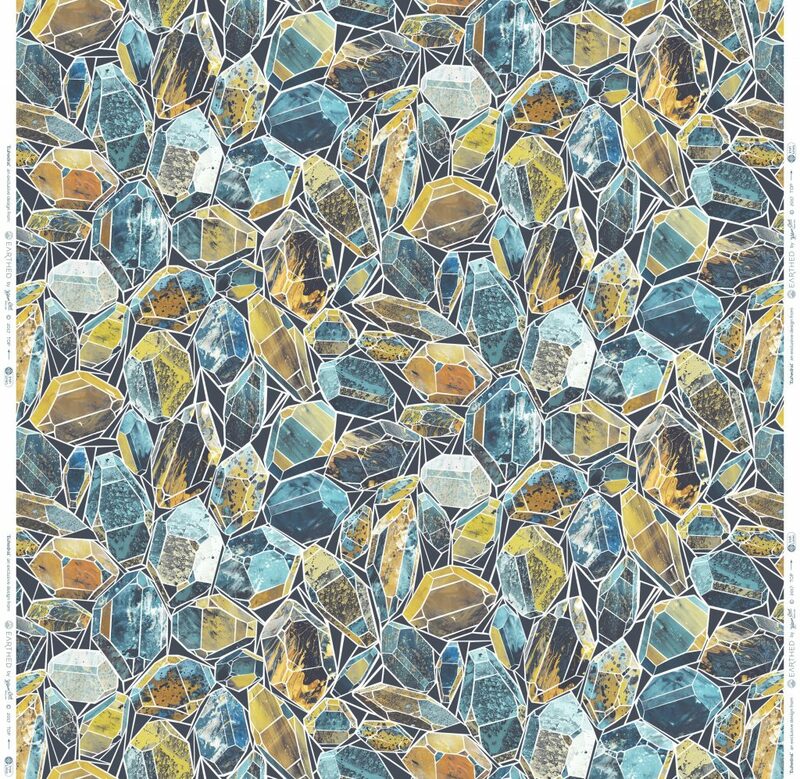 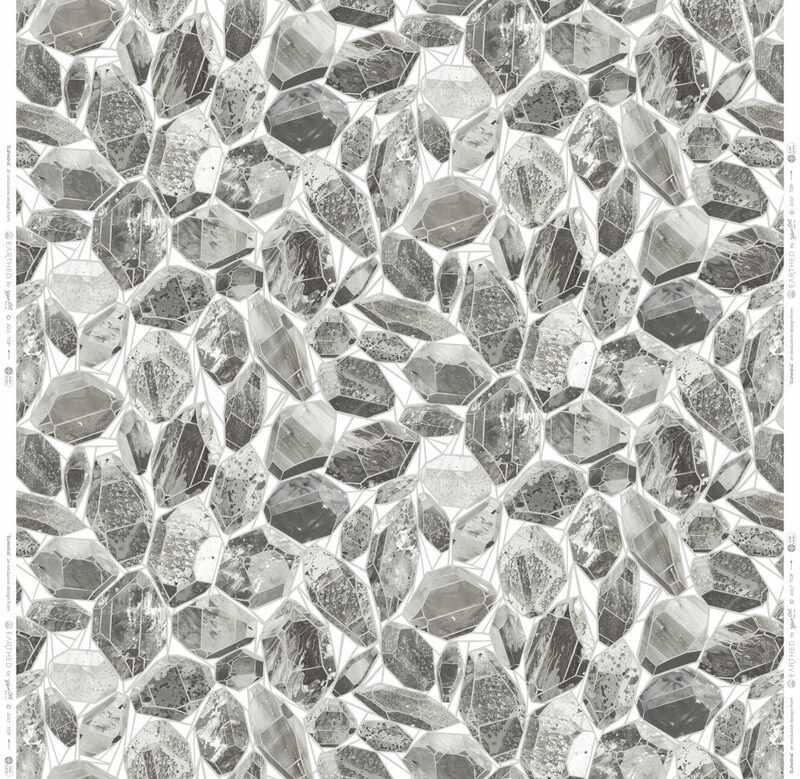 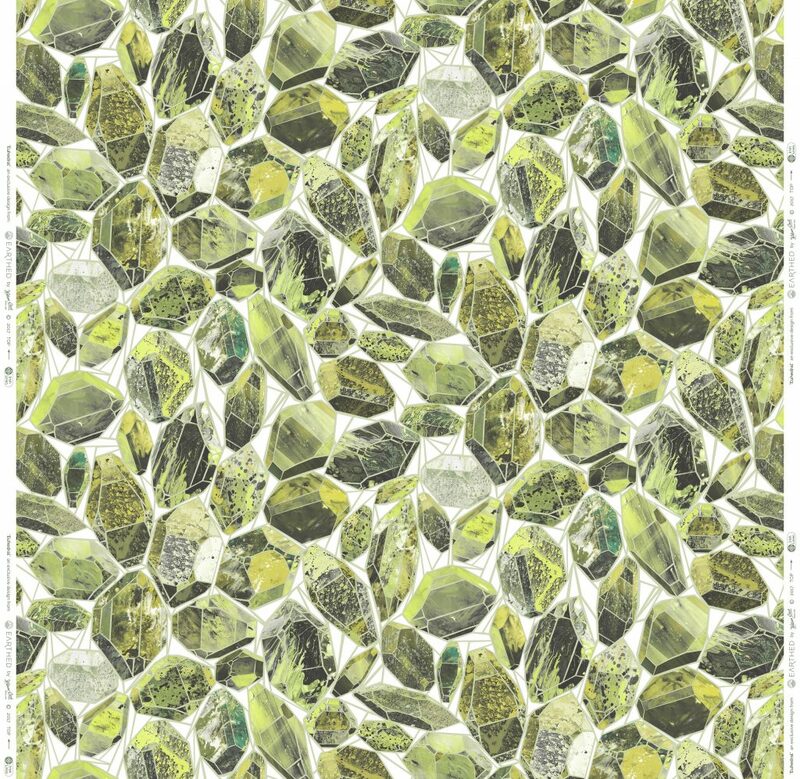 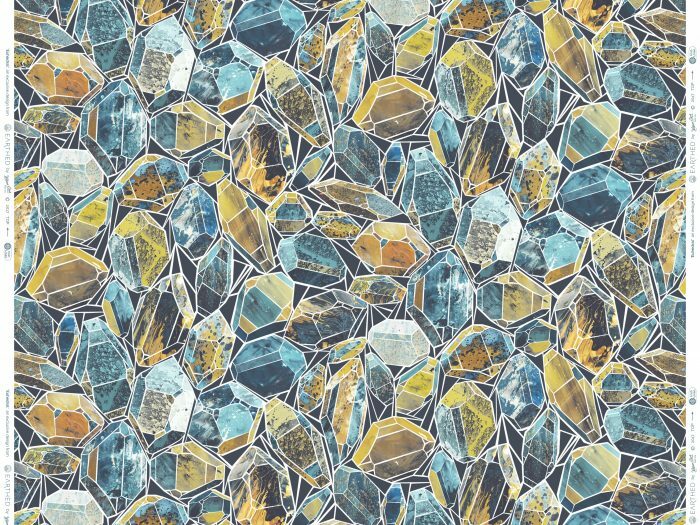 A packed print playing with colour and texture, inspired by Geodes from the Quartz family. 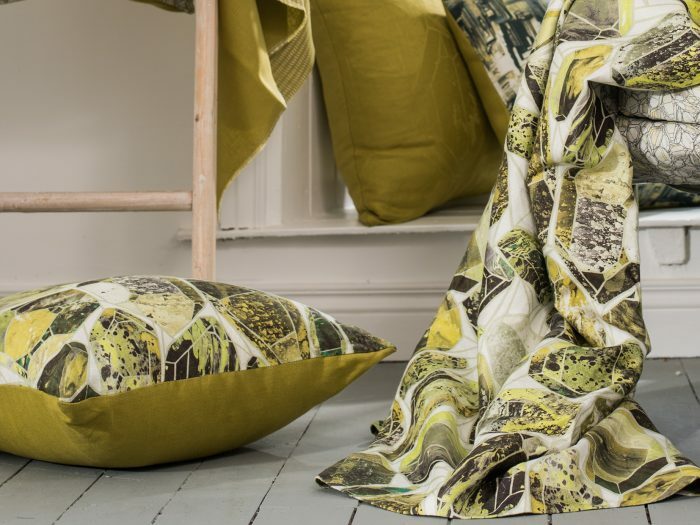 This textural print is on a damask base, heightening the twists of colour running through the design.